Stoke is the third leading cause of death in the United States, causing more than 140,000 deaths each year, and the leading cause of long-lasting disability. Stokes can occur very suddenly and cause extensive, devastating damage within a very short time, making their prevention an important part of any care approach for an elderly adult. As a family caregiver, it is important for you to not just recognize the danger of strokes, but also how you can help your parent to reduce the risk of suffering a stroke in practical, meaningful ways each day. 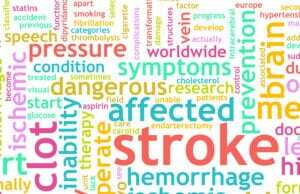 Home Health Care Thomasville NC – How Can Your Parent Reduce the Risk of a Stroke? If your senior is dealing with other health issues, such as high blood pressure, high blood cholesterol, or diabetes, make sure they are managing the condition effectively. These conditions put strain on the heart and make it harder for it to work properly, and the longer the condition goes unmanaged, the worse the effects. Help your parent find effective and meaningful ways to control their stress. Support groups and individual counseling can help your parent better cope with their emotions, deal with challenging situations, and manage their stress. If your parent smokes or uses tobacco, encourage them to stop. Every day they do not smoke is a step toward reduced risk. If your parent is overweight, encourage them to lose weight. Talk to their doctor about safe and healthy ways to do this. Make physical activity a part of their care approach. Exercise together, go on walks, find a new activity such as a dance class or gardening you can do together, make goals for how many steps to take each day and reach for them. Every little bit helps. Work together to ensure they eat a healthy, well-balanced diet rich in the full range of nutrients they need to thrive. Medication compliance is vital for health, but for many elderly adults, keeping up with medications and treatments can be daunting. Home health care can help. A senior home health care services provider can help your parent to remain more compliant with the medications and guidelines from their doctor by offering personalized reminders. These reminders are designed to keep your parent on track, reminding them of when to take their prescriptions, but also how. This means your parent will take the right dose at the right time, and with any special considerations such as with food. As a family caregiver this can help you to feel more confident in your parent’s health and their ability to manage it effectively as they age in place. If you or an aging loved one are considering Home Health Care Services in Thomasville NC, please contact the caring staff at TenderHearted Home Care today. (704) 612-4132.